As kids, my sister and I loved making up new Perler bead patterns. We even set up a lemonade stand on our street to try and sell our creations. The deal was, buy a Perler bead creation, and you get a lemonade made with our secret recipe. I remember our neighbor across the street asking if he could just have the lemonade. Haha! 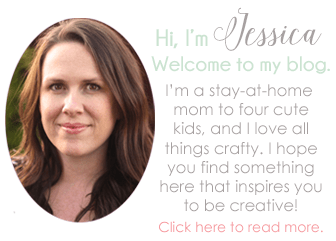 I’m happy to say that my children are equally, if not more, obsessed with Perler beads. (Though, they haven’t had the idea to try and sell them yet.) They will sit for hours with a bucket of beads! 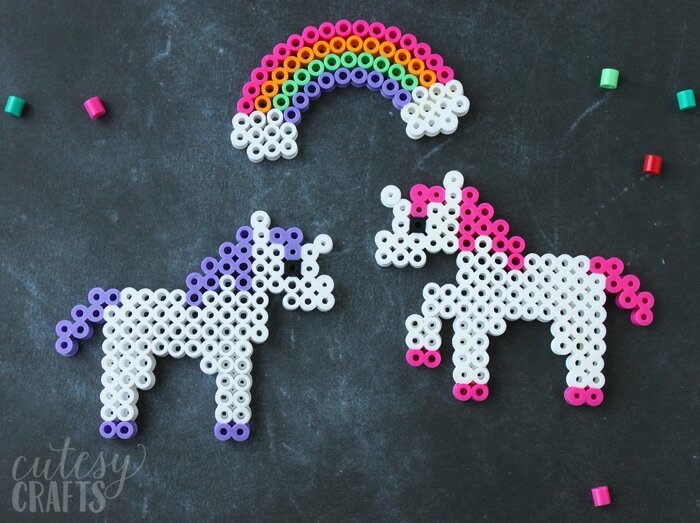 We finally replenished our stock, and I had a little fun making these Perler bead unicorns with the kids. 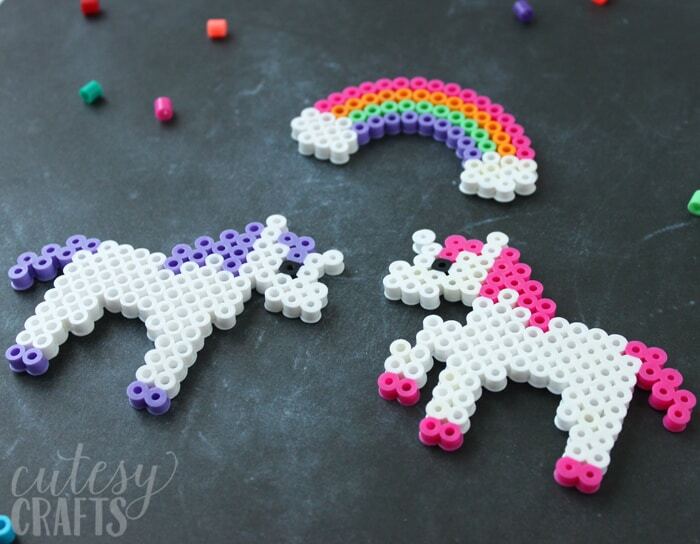 Unicorn crafts are pretty popular right now, and my kids loved making these! 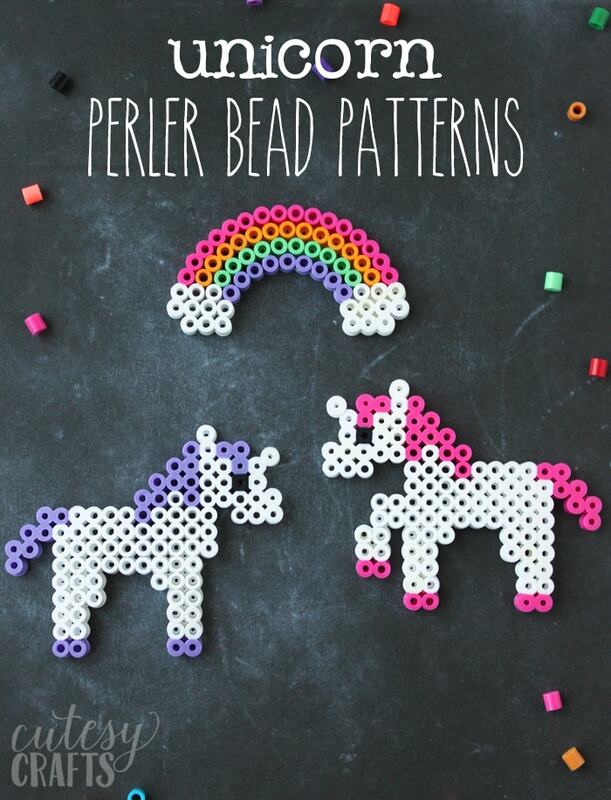 I created some Perler bead patterns for the unicorns for you to download here. We like to get a bucket of beads like this one here. The rainbow was made using a circle plate that came with our beads, so I didn’t write up a pattern for that. It should be pretty easy to follow by just looking at the photos though. The unicorns were made on a square plate. Just make sure yours is at least 17 pegs wide. When you iron the unicorns, their horn might not stick. If it doesn’t, that’s okay. Just iron it on separately, after you have taken the unicorn off the plate. Make sure you still use your parchment paper though. Don’t want to mess up your iron! 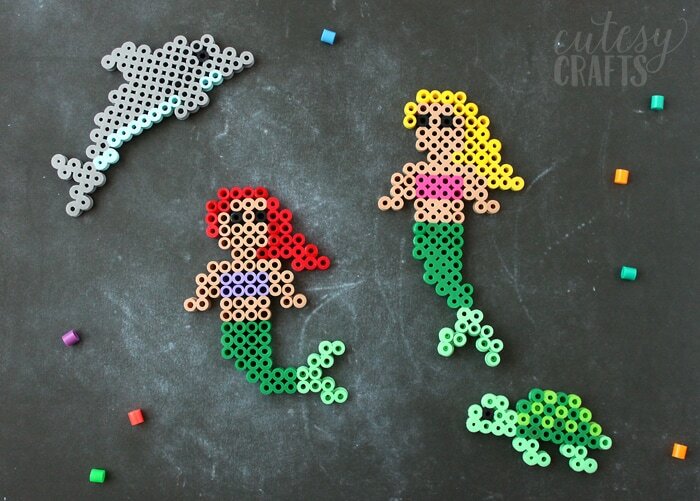 Do you have a bunch of Perler bead creations laying around, and you need to find something to do with them? You know, besides putting them in the trash or selling them at a lemonade stand. We frequently glue magnets on the back to make refrigerator magnets. My husband uses the Zelda Perler Bead magnets that we made for him on his filing cabinet at work, and my kids love to see their favorite ones on the fridge.